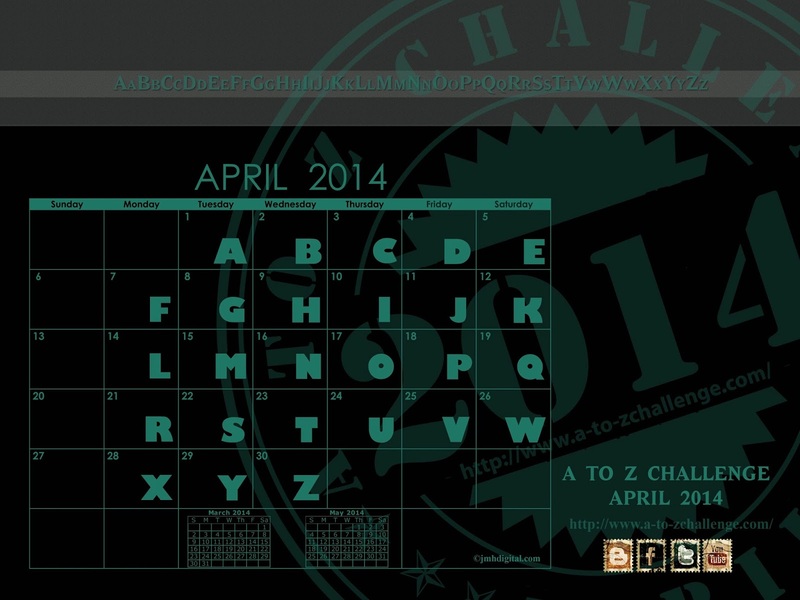 Well it's almost here, from tomorrow the A to Z Challenge kicks off on 1st April through to 30th April, 26 letters, 26 posts and 26 topics... and don't forget the 4 days off to recuperate! In case you're wondering what letter falls when then here is the calendar of letters so you know what to expect and when... well you know what letter the topic will start with... the topic won't be revealed until the post is actually published. Additional Info if you need it! My theme is Curling Stones for Lego People - so basically anything you'd normally find here on the blog, modular (or charm) jewellery and related stories. If you want to visit the main challenge website - just click the badge on the top right of the page or the banner on the footer and that will take you there directly. Each post will be quite short, as essentially I value my sanity and as a first timer I'm following the sound advice given by those experienced in the challenge; also it will make it easier for other participants who might be visiting. I'm aiming to post each day by 8.30am GMT. The subscription emails will go out sometime after 9am so for the easiest way to follow - just sign up with your email. You can find the subscription box at the top right hand side of the web page, you will then receive a verification email to reply to and then voila, your emails will be delivered to you each time there's new content. You can unsubscribe at any time by just clicking on the unsubscribe link on the emails - or contact me directly via the blog. If you use Bloglovin' or GFC you can follow through these methods, keep an eye on my Twitter feed, my Facebook Page or follow the links on Pinterest. If you're like me, you can do it the old fashioned way, just bookmark the page and come back whenever you like! I was just popping over to wish you good luck and there's a post already here! Thank you, all support very much appreciated! Figured I'd better double check my scheduling and email systems were working how I wanted them to with a dry run this morning. So far so good! Eek, my sentiments exactly, although I have a few posts pre-scheduled this time so I'm feeling a little less pressured than my first year. It's quite a unique subject you have chosen... All the best and see you along the way. Thanks Ida, although I've prescheduled some I'm still a bit eek! Hoping it gets a bit less eek and bit more squee as it progresses, so looking forward to reading others and seeing what it's like that I must remember to write the rest of mine! Eek is right! I am looking forward to your post. Ditto on eek (I'm beginning to sound like a strangled mouse) and ditto on your post, bed for me now but will be checking back everywhere tomorrow! Just checking in! This is seriously cool! I have a friend who is a jewelry designer! I'm definitely looking at your blog! Thanks Rocky, I told someone I'd found your film review blog and the first thing they said... you'll never remember it ;) I think I'm infamous for forgetting film details... let's see how it translates to reviews... good luck!